Syrian government responds to Trump, says Golan Heights will remain "Syrian and Arab". 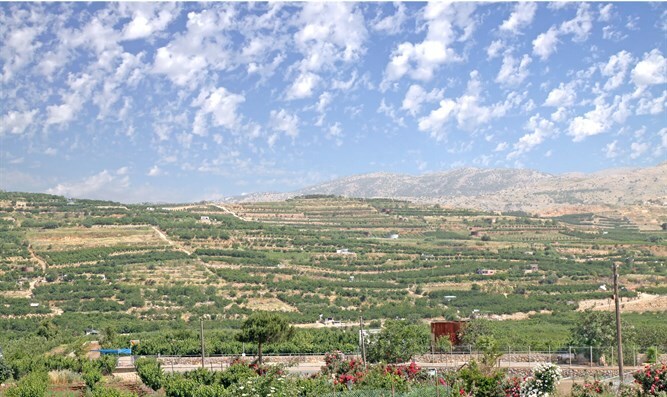 The Syrian government on Friday vowed to recover the Golan Heights after US President Donald Trump said it was time to recognize Israeli sovereignty over the region, Reuters reports. Damascus said on Friday the Golan would remain “Syrian, Arab” and added that Trump had shown contempt for international law. “The Syrian nation is more determined to liberate this precious piece of Syrian national land through all available means,” the Syrian government said, according to Reuters. Prime Minister Binyamin Netanyahu welcomed Trump's announcement on Thursday and described it as a "Purim miracle." “Attempts by the US to legitimize Israel's actions against international law will only lead to more violence and pain in the region. Turkey supports Syria's territorial integrity,” he added.